State prosecutors in Saudi Arabia are calling for the death penalty for Israa al-Ghomgham, a human rights activist from Qatif who was arrested in 2015. If executed, it will be the first time the country has carried out capital punishment on a woman for political activism. Ghomgham was arrested in December 2015 for "anti-establishment activities," the Al-Quds al-Arabi newspaper reported. She has been in detention for 32 months but was recently put before the specialized criminal court (SCC) in Riyadh. The European Saudi Organization for Human Rights (ESOHR) described the court, responsible for implementing the notorious 2017 counterrorism law, as being "under total control by the king, and therefore many of these trials are merely show trial and have pre-determined outcomes which serve the narrative of the state." Many news outlets have reported that Ghomgham has already been executed, but these reports appear to be premature. ​"[T]he call of the public prosecution for a death sentence for the detainee is a dangerous indicator that the trial outcome will lead to a death penalty sentence being issued," ESOHR said August 15, "because the Saudi mechanisms involved in the prosecution process are not independent and serve the needs of King Salman directly… Israa is being subjected to an unfair trial, which uses flawed laws and can be regarded as a ‘show trial.'" The activist hails from Qatif, a port city in Saudi Arabia's Eastern Province, and appeared on government radars during the Arab Spring protests in 2011 and 2012. Those protests, focused in large part in the heavily Shiite Eastern Province, were met by Saudi authorities with a wave of repression and violence in which dozens of activists were killed or arrested and executed. Those protests continued into 2014, with Qatif being described by one BBC journalist as "a militarized zone, surrounded by checkpoints and armored vehicles." Other cities, like Awamiya, were in a similar condition. Saudi Arabia is calling for the beheading of female human rights defender Israa Al-Ghomgham because she participated in peaceful protests. This is the same barbaric regime which still sits on the UN Women’s Rights Commission. ​During this time, Ghomgham "called for fundamental and basic civil and political rights such as peaceful assembly and expression, called for the release of prisoners of conscience and human rights defenders and expressed her peaceful opinions on social media platforms," ESOHR reported. She and her husband, Seyyed Musa Ja'afar Hashem, were detained December 8, 2015, during a raid by Saudi security forces. Ghomgham was not provided with any counsel during her 32 months in detainment. She only received a lawyer for her trial after her father wrote a petition for donations to help cover the 300,000 Saudi riyal ($80,000) cost of providing her with one, and a lawyer saw the petition circulating on social media and offered their services pro bono, ESOHR reported. Activists are livid at the public prosecutor's reported attempt to seek the death penalty for Ghomgham, afraid it will set a dangerous precedent. Some have pointed out that Saudi Arabia, ironically, sits on the United Nations Council on Human Rights. Horrifying. For the very first time, Saudi Arabia is set to behead a female human rights defender, Israa Al-Ghomgham, for participating in peaceful protests. ​"She was a person who tweeted and supported the protests. Maybe she protested as well. But the Saudi government is clearly trying to use that to send a message that we will not spare anyone, woman or not," Ali al Ahmed, director of the Institute for Gulf Affairs, told Sputnik Monday. According to Amnesty International, Saudi Arabia carries out the third-highest number of executions per year, behind only China and Iran. In 2017, nearly 150 people were executed, and the kingdom is on track to execute more people than ever in 2018, Sputnik reported. Despite that, Ahmed pointed out to Sputnik that "the Saudi government has yet to send a single member of [Daesh] to death, to seek the death penalty for any members of [Daesh], but they have sentenced over 50 Shia protesters to death… this is the first female the government is seeking to execute." "This is significant," he said. Saudi Arabia has come in for praise from many quarters recently for loosening some of the many restrictions on women's freedom; lifting very recently the ban on women driving. But this should not be seen as qualitative reform, Ahmed said. "There are no reforms in that country. There haven't been any reforms. You are seeing basically the birth of fascism in that country… Because you see increasing oppression — this is the greatest oppression in the entire history of that country… this is the greatest amount of fear within the population from the government." Saudi Crown Prince Mohammad bin Salman, hailed by many in the Western press as a moderate, is instead using harsh prison terms and executions "to silence people — women, men, he doesn't care; children." Qatif is the center of the Saudi Kingdom's Shiite population, a Muslim religious minority that forms around 10 to 15 percent of the Saudi population but between one third and one half of the population in Eastern Province. There are only estimates because the Saudi government does not monitor demographics of religious affiliation. Despite the province being home to most of the kingdom's oil resources, Shiites are denied economic opportunities and are politically repressed, which has consistently driven protest movements in the region, including those in the 2011 to 2014 period inspired by the Arab Spring movement. 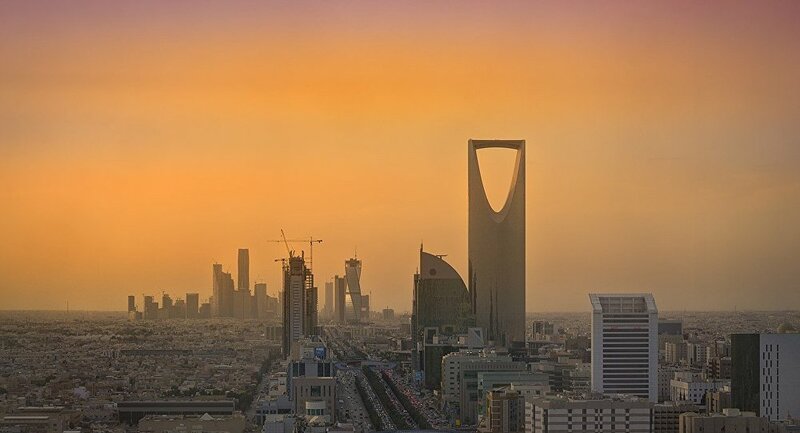 Hostility between the Saudi government and the Shiite population of the Persian Gulf region dates to the unification of the country, when militant Wahhabists sought the Shiites' forced conversion. The monarchy's Wahabbist Sunni doctrine is among the world's strictest and most intolerant. Wahabbi Sunnis view Shiites as non-Muslims, calling Shiite rituals polytheistic. Wahabbism came from the teachings of the 18th century cleric Muhammad ibn abd al-Wahhab, who hailed from the Najd region, from which the al-Saud family also comes. Their rise to prominence and the formation of the unified Saudi kingdom in 1930 also brought Wahhabism to greater prominence, although it is estimated that only two in five Saudis today are Wahhabists. During the 1920s, Ibn Saud, the man who would become the first king of Saudi Arabia, sent missionaries to Eastern Province to convert the Shiite population, but refrained from forcibly converting them as his followers demanded, according to the US Library of Congress country study. "There are no Shia judges in the country, no blacks, of course no women, obviously — it is limited to the Wahhabi creed," Ahmed said. "If you are not a Wahhabi, if you are just a Sunni Muslim, you cannot be a judge in Saudi Arabia. This is very much like an apartheid regime, in terms of its court system, and it's motivated by such beliefs against Shia — they see them, the judges see Shia as heretics that should be killed. The case is the same for the Saudi prosecution office — there's not a single Shia or black who are prosecutors or investigators. So it's an apartheid regime. And of course, there are no women as well." While in Qatif and the al-Ahsa region of Eastern Province, Shiite courts are permitted to exist and rule according to their own Ja'fari school of Islamic jurisprudence on certain subjects such as family law, inheritance and endowment management, Sunni courts can overrule and void those courts' rulings, according to Global Security. Further, Shiite judges cannot serve in any other courts, Human Rights Watch reported. The country's Council of Senior Religious Scholars, an advisory body of 20 people that reports directly to King Salman, has no representatives from any Shiite jurisprudence schools, although it represents multiple Sunni legal schools, Global Security noted. Likewise, the 24-member Human Rights Commission — established by the Council of Ministers to address human rights abuses and promote human rights within the country — does not include women or Shiite members. Only five out of 150 of the king's Consultative Council are Shiite. This story has been updated to reflect that Ghomgam would be the first woman executed for political activism, not the first woman ever to face capital punishment in Saudi Arabia.